ELECTROMECHANICAL DESIGN OF THE PROJECT: "UNDERGROUND PARKING STATION, PYRROU SQUARE, IOANNINA". 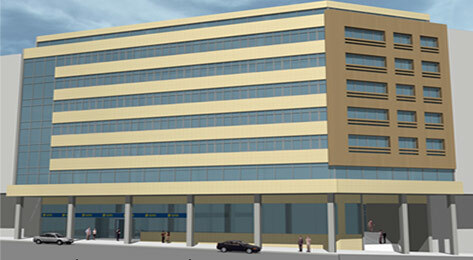 ELECTROMECANICAL DESIGN OF THE PROJECT "11 LEVEL PARKING STATION ON 59 ISMINIS STR., KALLITHEA"
The capacity of the station amounts to 250 cars.Ventilation, fire protection, electrical installations, persons and car elevators designs were performed. ELECTROMECANICAL DESIGN OF THE PROJECT "13 LEVEL PARKING STATION, 9 ABOVE GROUNG AND 4 UNDERGROUND, ON PAPADIAMANTOPOULOU 26 AND MICHALAKOPOULOU STREET, ATHENS". The capacity of the station amounts to 350 cars.Ventilation, fire detection, strong and weak currents, persons and car lifts studies were carried.